ABBA & UNIVERSAL ROCK ON. I am so glad that other fans are happy to see this new release. Universal are not claiming to release anything new, by “rare” they are refering to non die hard fans who have not collected everything going. They are not just aiming this release at us die hard fans, but to everyone. The success of Mamma Mia and GOLD will have brought new fans into the fold and for them these track could be considered “rare”. You will not get HOVAS VITTNE or GET ON THE CAROUSEL and such like items, so dont slag off Universal for that. It’s is up to Benny and Bjorn. And if they dont want it officially released we have to deal with it. It’s not like we don’t all have it already anyway?! ABBA THE ALBUMS BOX SET -If you don’t want it, dont buy it (and please dont slag off Universal. They do a fantastic job, despite what some sites say). I can’t wait to get the box set, and I hope like me you’ll enjoy it! Comments : Comments Off on ABBA & UNIVERSAL ROCK ON. Frida attended the Polar Music Prize 2008 at Konserthuset in Stockholm today. This year’s winners were Pink Floyd and opera singer Renée Fleming. ABBA’s eight studio albums plus a bonus disc of further hits and rarities, conveniently packaged in one single box. A quarter of a century after ABBA last recorded together, they are back on top again – bigger than ever! Following on from this summer’s extraordinary success with the Mamma Mia! movie and its soundtrack, and ABBA Gold storming up the charts to become a number one hit album again, Polar Music International is pleased to announce the release of ABBA – THE ALBUMS. 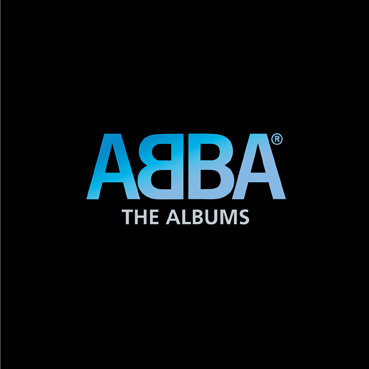 ABBA – THE ALBUMS, released October 27, 2008, is a box set containing ABBA’s eight studio albums plus a bonus disc of single sides and additional tracks. This box set, packaged in an attractive, embossed cardboard box, is the ultimate ABBA collection, telling the musical story of one of the most successful groups in the history of popular music. On early albums such as RING RING (1973) and WATERLOO (1974), we witness Agnetha, Björn, Benny and Frida’s first steps as they are trying to figure out just what ABBA were about. The journey continues with ABBA (1975), ARRIVAL (1976), ABBA – THE ALBUM (1977) and VOULEZ-VOUS (1979), capturing the band’s glory years as one of the most successful musical entities on the planet. Finally, there is the winding-down on SUPER TROUPER (1980) and THE VISITORS (1981), as the story reaches its inevitable end. The BONUS TRACKS CD collects the single hits that never made it onto one of ABBA’s original albums – Fernando, Summer Night City and Gimme! Gimme! Gimme! (A Man After Midnight), to name a few – plus a number of rare single B-sides and Swedish-language album tracks. ABBA – THE ALBUMS is a truly magical box of wonderful, timeless music, and will be treasured by every ABBA fan. Mamma Mia! is the highest grossing musical film of all time! Mamma Mia! The Movie seems to have defied all box office expectations on both the domestic and international front. The film stayed in the top ten, coming in at number nine and bringing $4.3 million dollars. That brings the total domestic gross for the film up to $124 million dollars. Overseas, the film grossed an additional $12 million. That brings the total gross up to $232.5 million, making it the highest grossing musical of all time, beating Chicago by $100 million and counting. Info: Broadway world.com via Newsstream. Comments : Comments Off on Mamma Mia! is the highest grossing musical film of all time! The DVD release of “Mamma Mia! – The Movie” is planned for the end of October. Keep watching this space, as soon as we know the release date, so will you!. HMV are showing a release date of November 24th. The U.S. DVD is planned to included 1 extra bonus item not yet confirmed.All bonus items are subject to change before release. The Decca Records release sold 130,000 copies in the week ended August 10, becoming the second soundtrack this year to reach the summit, following the “Juno” soundtrack in January. The film has earned $104 million at the North American box office. ABBA has never had a top 10 album on the Billboard 200; highest charting was 1978’s “The Album,” which peaked at No. 14.